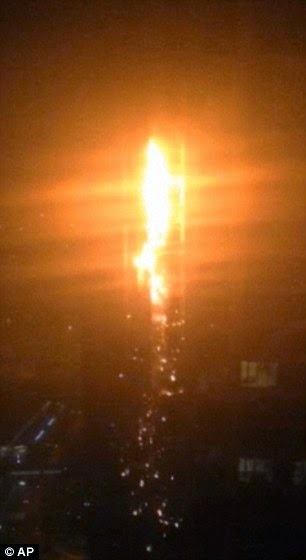 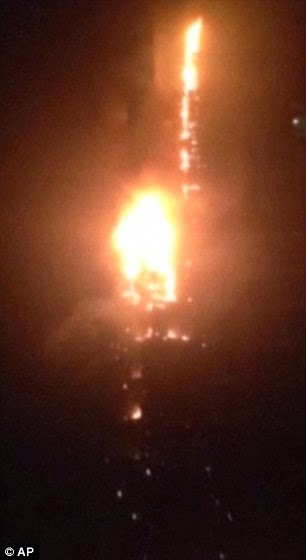 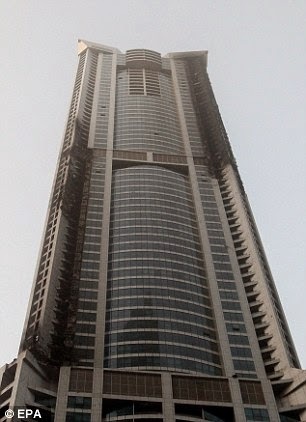 Fire Rips Through Torch Skyscraper In Dubai,One Of The World's Tallest Residential Buildings! 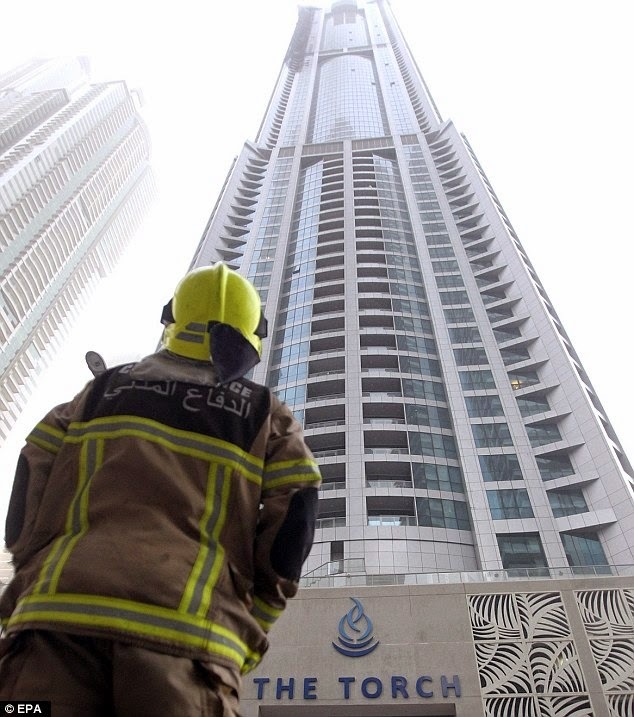 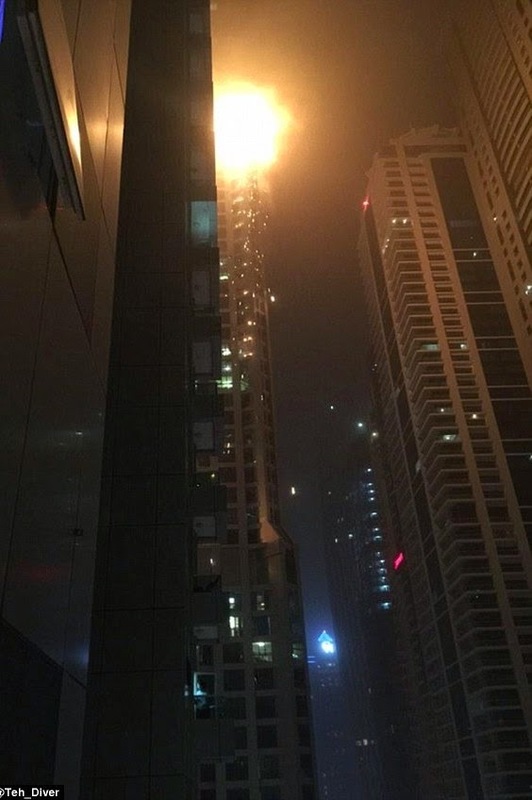 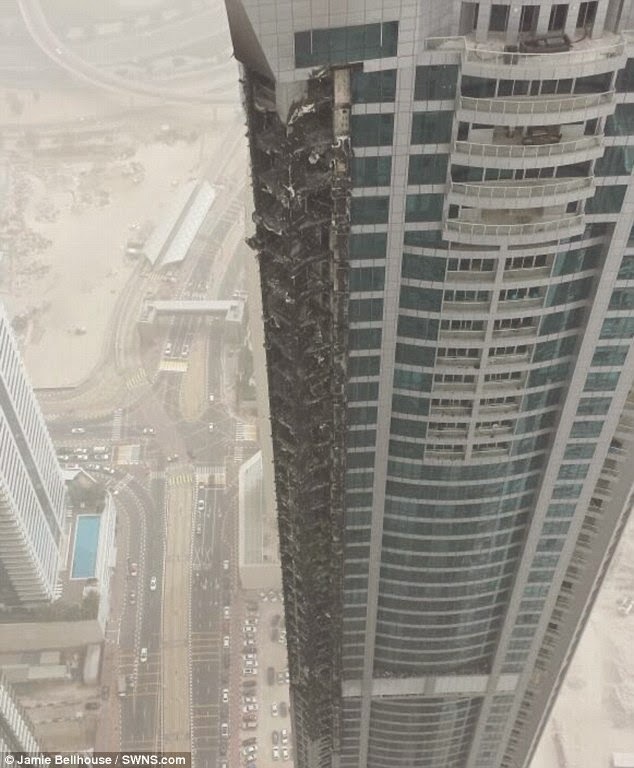 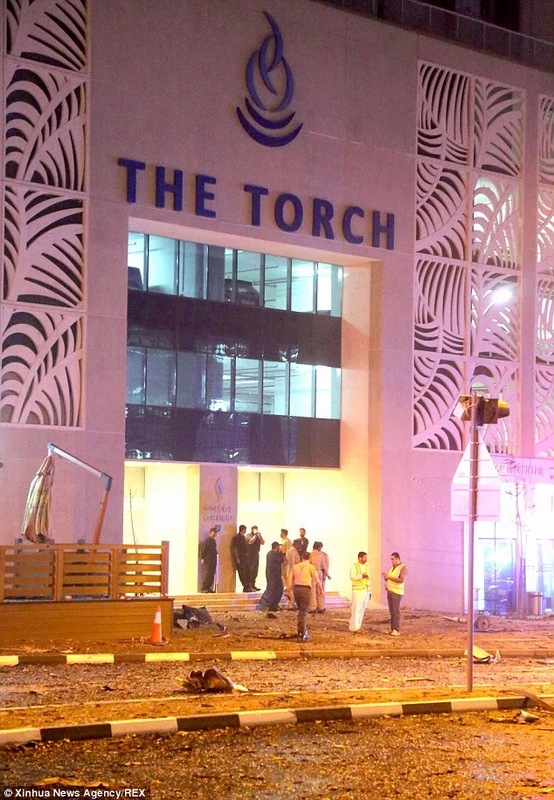 A fire has swept through the Torch skyscraper in Dubai, one of the tallest residential buildings in the world. 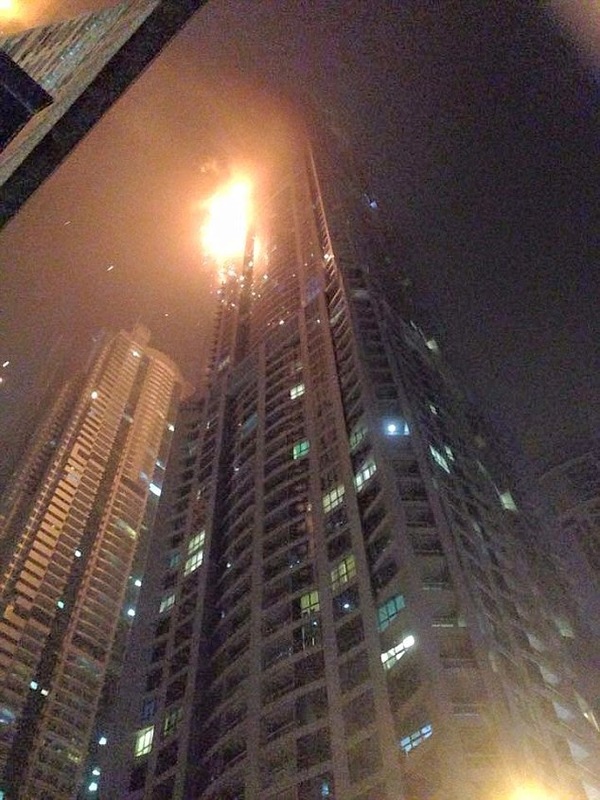 Strong winds helped the blaze to spread across the 336.1m (1,105ft) high building in the marina district. 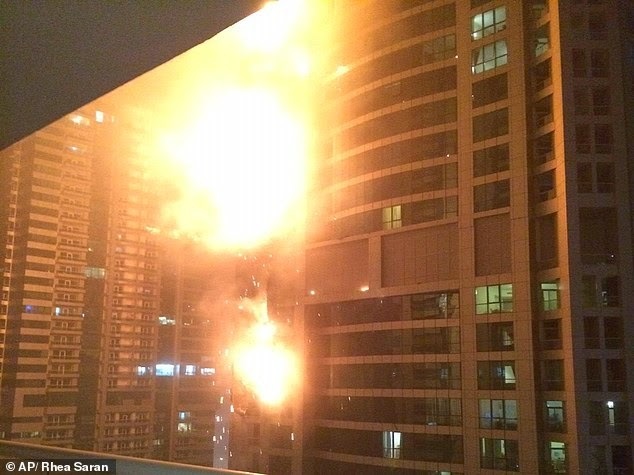 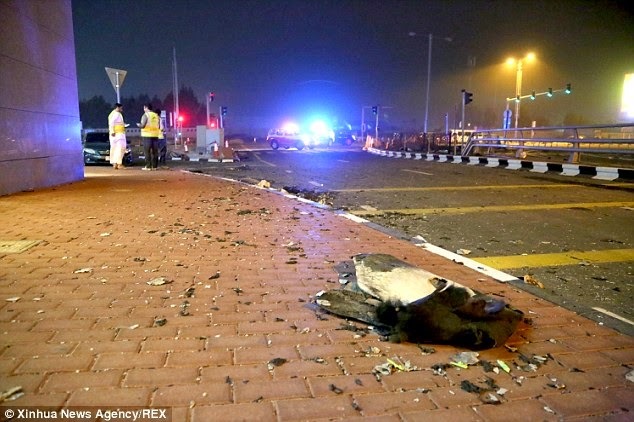 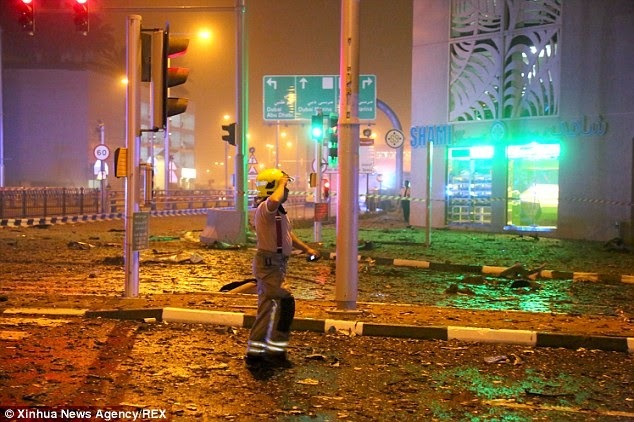 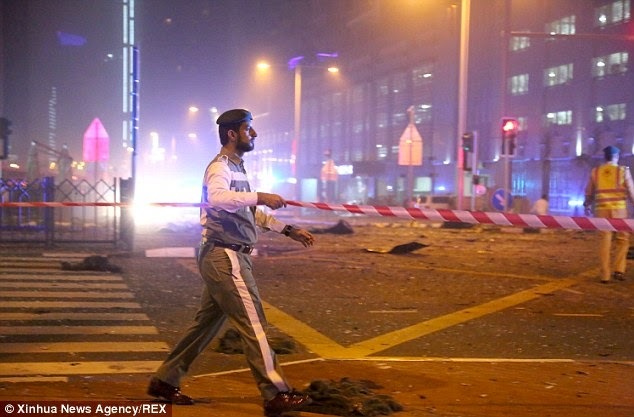 One eyewitness said there was debris flying everywhere, falling into neighbouring buildings". 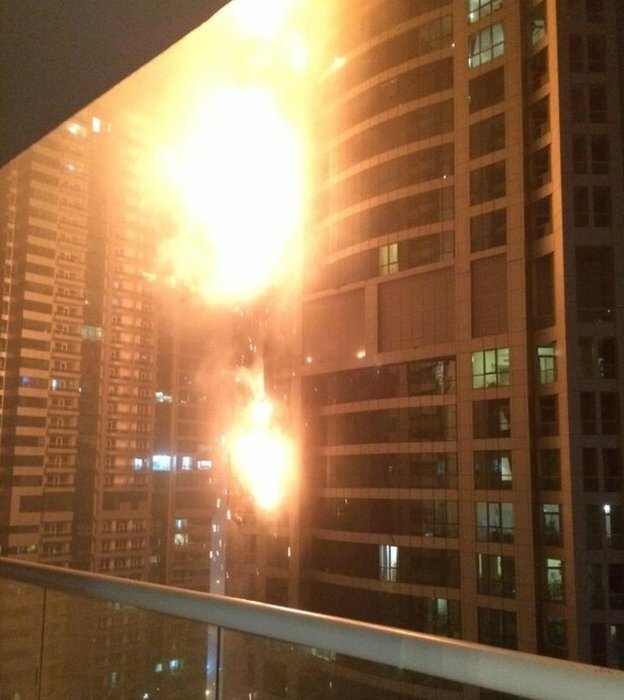 The fire was later extinguished.